The silver lining of gpad london founder and current chair Christopher Ploutarhou’s amicable split from his former business partner in 2002 was picking up a series of jobs in quick succession. This clutch of residential schemes plus a shopping centre would be delivered by his new practice following its founding in 2002. In the 16 years since, gpad has grown from a five-strong team of designers into a contingent of 25 helmed by managing director Bettes. The last year has seen growth rewarded with increasing attention signposted with sector accolades. 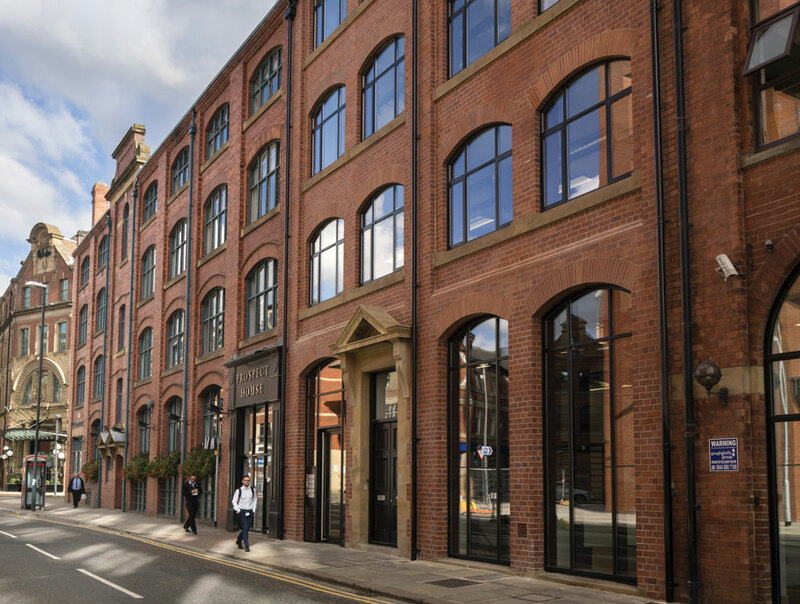 The top prize at the Evening Standard New Homes Awards for their Wittering House project was accompanied by a British Council of Offices national award for Sovereign Street, an office renovation in Leeds. The two projects are representative of the practice’s general remit; it splits roughly 50/50 into residential and commercial. With this, gpad – an acronym of ‘general practice of architects and designers’ – are broadening their reach to target sectors including civic buildings, while deepening their knowledge of design of residential and commercial buildings and their clients. The practice is subdivided into three design teams. Bettes leads one, while technical director Jeremy Wiggins and creative director Danny Shafrir lead their own respective teams. “When a project comes in, the three of us will sit down with our commercial manager (Fenja Scarisbrick) and work out which team has the best capacity to take on another job, depending on what stage existing projects are at,” explains Bettes. He confirms that flexibility is the priority, over overt specialisation: “There are no real specialisms between each of the teams. We like to maintain a good range within each one.” Making a case for generalism, Bettes argues that keeping each design team open to working on a diverse array of projects facilitates the development of each architect, exposing them to new approaches, elements and typologies. “We want them to work on front-end to back-end, as well as on all different typologies. We try not to pigeonhole people.” The firm’s directors have tried to make the most of opportunities to encourage their designers to work critically and question their colleagues’ design choices, fostering an analytical culture. Internal presentations are a regular affair, opening up the architects’ concepts and designs to their peers to expose any deep cracks. Bettes counsels: “It’s quite difficult encouraging a critical atmosphere, it has to be done in the right way; it has to be controlled.” However, he is a firm believer in open interrogation of theories, which is a key part of the firm’s communication-focused ethos. Extending to questioning clients and consultants, as well as colleagues, Bettes sees this as one of the practice’s tried and tested paths to success. With approximately half of gpad’s projects being in the commercial sector, the practice is constantly searching for ways to optimise the quality of their designs for offices. Using agents to visit newly completed buildings and keeping a keen eye on the events calendar for office-oriented conferences and seminars are two of many strategies that help the firm keep on top of best practice. Sharing some predictions on future drivers in office architecture, Bettes remarks: “The future is tech-driven, led by a sharing culture.” He says offices are becoming more “a place to meet, rather than a place to work,” so architects “have to focus on encouraging amenities spaces, and pushing lifestyle to create a place where people can spend a whole day.” Bettes says that one question he frequently asks himself is: “What will people want in two years’ time?” Changing times and changing tenants call for flexible designs that best guarantee the longer-term use of buildings. He cites design solutions such as engineering parts of the slab so they can be removed to tailor the users’ journey to the tenants’ needs: “No two tenants will use the space in the same way”. 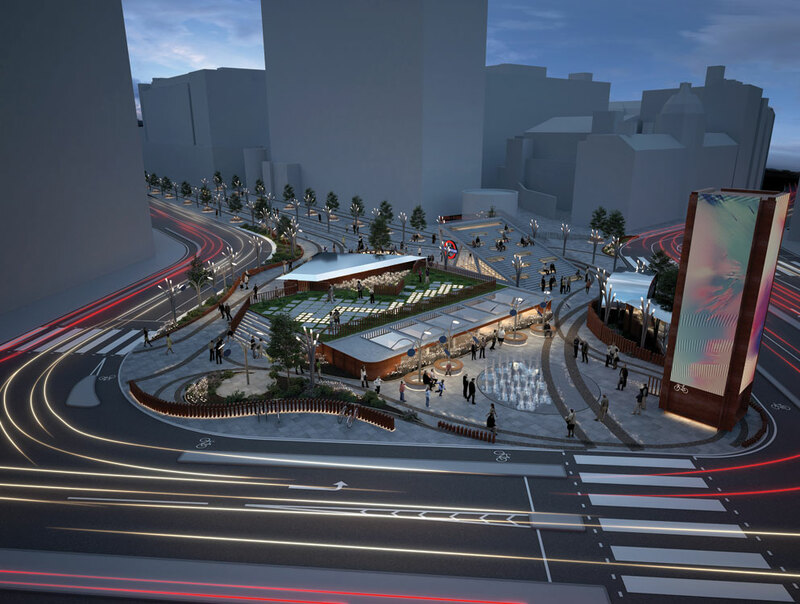 Straying from the practice’s commercial and residential heartland, gpad’s competition entry for “reimagining” Old Street roundabout in London has been shortlisted by the organisers, Islington Council. 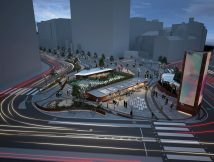 The brief asked designers to devise solutions for the space after the roundabout is removed in 2019 to make way for a pedestrian area. Playing on the abundance of tech companies nearby, gpad’s winning entry envisioned a “digital garden,” with an events space at its centre. “We wanted to create something that was very much ‘of’ the area – lots of hard surfaces, lots of places where you can sit outside, and solar-powered lighting.” Long, landscape-format billboards were flipped on their sides and conjoined to create a sort of advertising ‘totem pole’ with bicycle storage nestled inside. Further examples of gpad’s versatility as demonstrated in forays into public projects are found in their bids for council housing work, as Bettes explains: “We’ve entered a few competitions to get onto council frameworks, which may lead to larger-scale work. 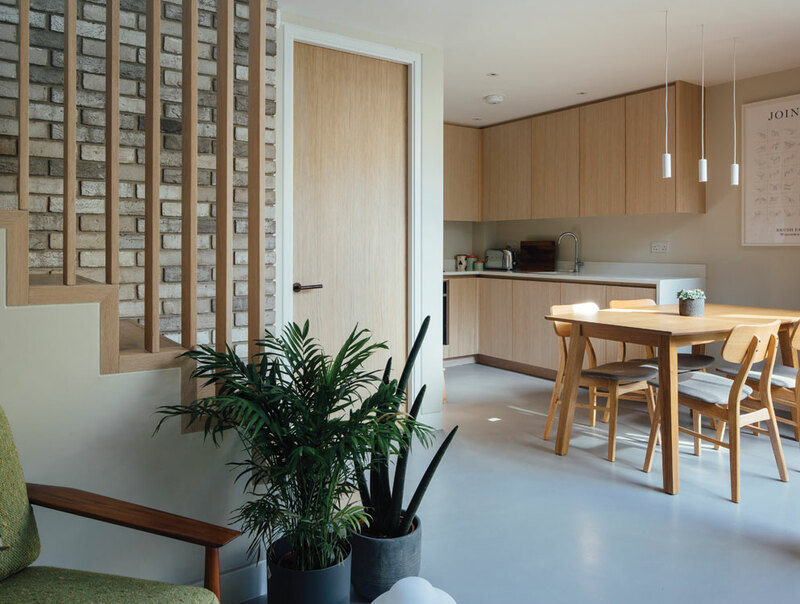 The biggest project we’ve done is a 35-flat scheme but we’d like to do bigger ones.” Working on larger-scale residential schemes will allow the practice to maintain its upward growth while gaining staff valuable design experience. 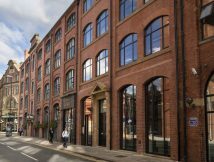 Although gpad’s portfolio is predominantly London-located, more recent projects, such as an office refurb in Glasgow, show the architects’ desire to diversify in terms of location. According to Bettes, one of the practice’s principal challenges in the future will be to stay highly adaptable to market forces. Following the 2016 referendum, three of gpad’s contracts were put on hold, followed swiftly by two commissions the week after. Although all have now been given the green light, potential volatility has been imposed on the profession. Despite this, the need to adapt to clients’ demands means the practice has been on a recruitment drive recently. Things are looking up for this already successful firm.